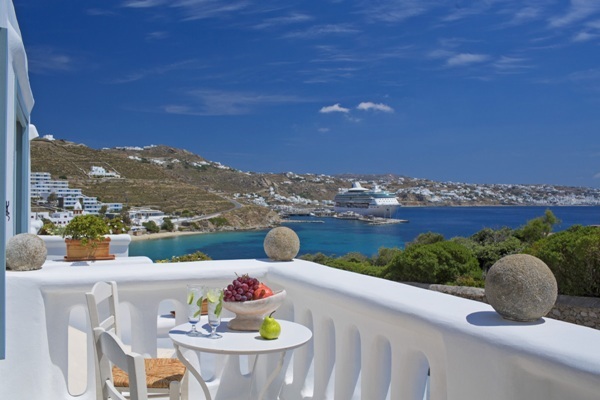 The Mykonos Princess Hotel is a popular and charming 5* hotel overlooking the lights and buzz of Mykonos town and set on Agios Stephanos beach. 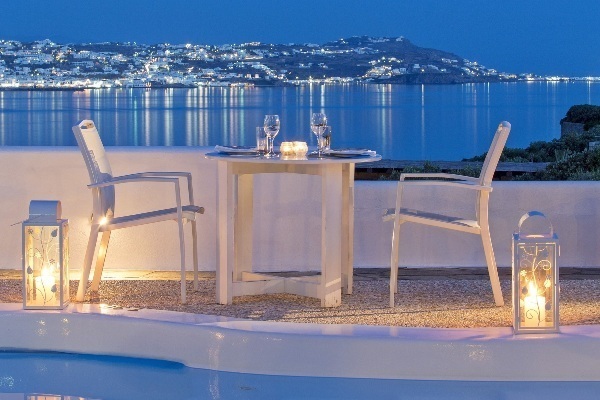 The hotel is influenced by Cycladic architecture, ideal for moments of relaxation and calmness in style with stunning sea views. 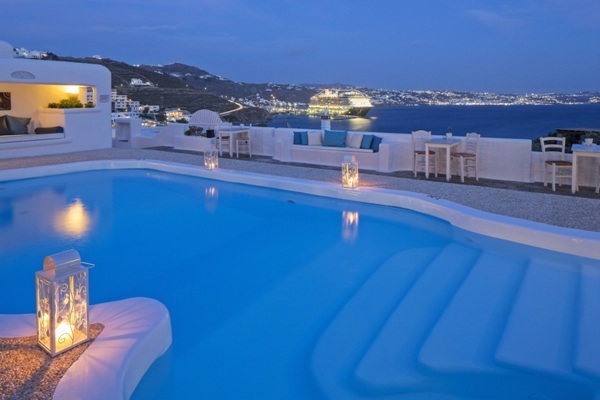 This is an ideal place to stay in Mykonos if you are stopping over on an island hopping experience or if you are on the island to simply experience the thrill and excitement of Mykonos’ extraordinary vibe. 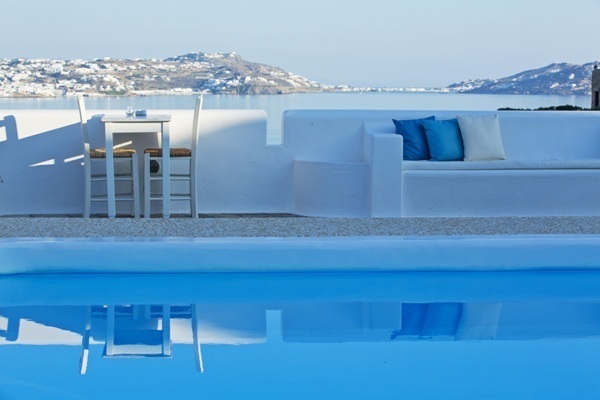 Our Mykonos hotel has 34 modern rooms, all influenced by the pure Cycladic architecture and the Mykonian style. 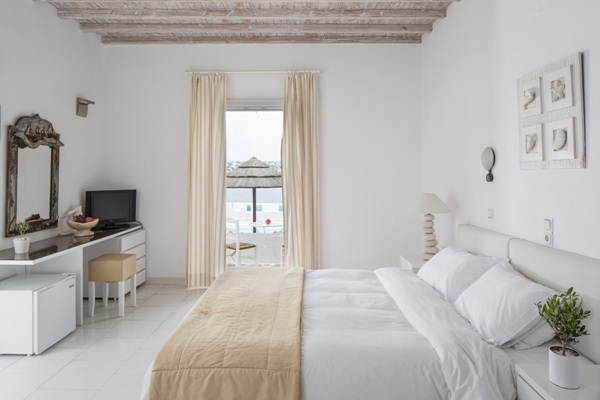 Our rooms redefine the concept of style and relaxation. 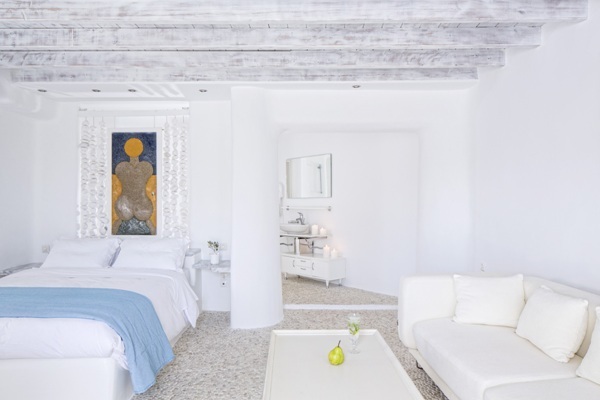 The magnificent bathrooms’ design emphasizes the harmonious coexistence of the traditional and the modern. 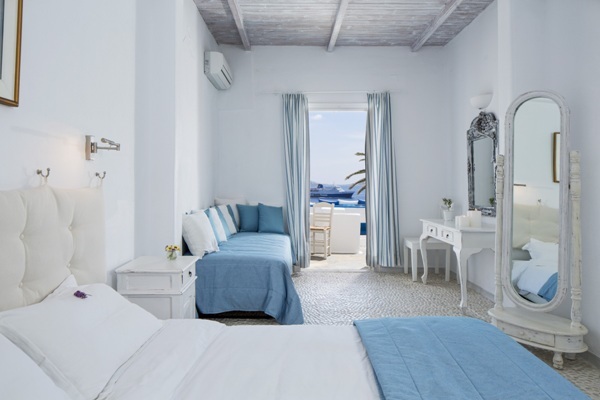 Comfortable and idyllic in style, the Classic Double rooms of the Mykonos Princess Hotel provide 20-24 square meters of space and unique scenery. 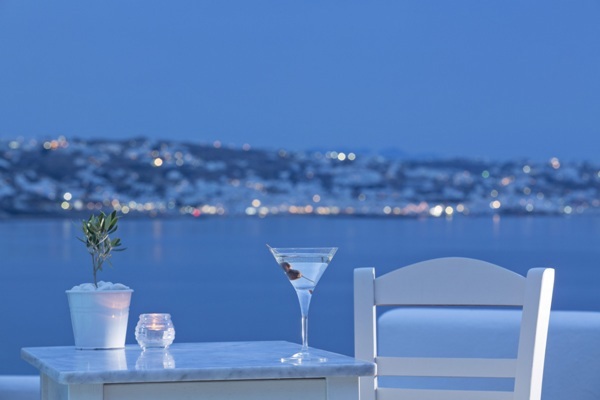 The view of the Aegean Sea from the patio or balcony will amaze you.